As you know, it’s relatively easy to start a lawn mowing business. This is good because it means you can start a mowing and gardening business quickly, but bad because it means so many other people can do the same thing. So, how can you stand out and prove your mowing business is head and shoulders above the rest? Sounds simple, but when you’re answering and returning calls in between traffic lights and mowing jobs, it’s easy to feel rushed and forget to stop, listen and invest some real effort into making your customers feel loved. But customers like Janice, aged 77, only calls her mowing guy because she appreciates being made to feel special during those phone calls. It’s important to remember that mowing, to many people, is just as much about the person as it is about the lawn. 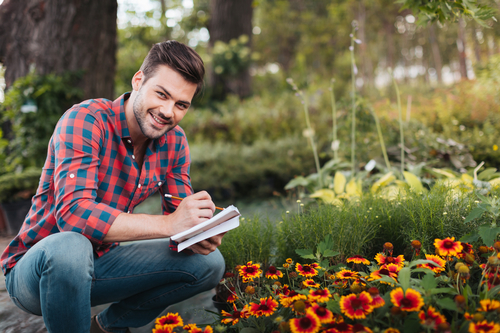 So, if you answer and return your customer phone calls diligently and in a more friendly and more enthusiastic manner than the other mowing guys, you’ll have a much better chance at keeping and growing your mowing business. How long does it take to call or text someone to advise you are running late or need to reschedule? Exactly! Not long at all. Yet still, mowing guys continue to ditch basic manners and show up late or finish the day M.I.A., with customers not knowing if they need to unlock their side gate (or lock their dog up) again the next day, or the day after that. Customers are generally pretty understanding if plans need to change, but only if you treat them with respect and keep them informed. If an elderly customer mishears your price and overpays you, be honest and return the difference. If you find $20 lying in the bushes, pass it back to its rightful owner. If you want to quote twice as much for your mowing job or gardening work as a competitor, own that quoted price (eg. This is how I value my time) and don’t create a fake excuse for your pricing (eg. You have an unusual soil that will probably damage my mower). If you know using fertiliser won’t help a particular lawn issue, don’t offer it as a solution if it’s a waste of your customer’s money. Yes, you have a physical job where you get dirty and smelly. But you can still show up with your shirt worn neatly, your hair combed nicely (or with a hat on your hair which looks professional), both socks worn consistently (not one up and one down), deodorant recently sprayed (or rolled), as well as protective shoes on your feet that do not have holes in them. In fact, it’s a good idea to keep deodorant and a spare shirt in your car – particularly for new customer meetings and/or mowing jobs that require you to knock on the door and talk to your customer. An investment in work shirts (and potentially signage on your vehicle) with your name and logo can also prove that you take pride in your appearance, your business and your customer service. Remember, you’re not just representing yourself and your business, but your customer may take offence if your appearance makes them look bad, compared to neighbours hiring mowers from more professional companies. If you’ve ever hired a cheap tradesperson who escaped at the end of the job before you could notice that they didn’t clean up after themselves, you’ll, now how cheated you feel as a customer to have to go behind them and do their cleaning up for them. I remember one time, finding a dozen (!) cigarette butts dumped in the garden after we had tradespeople at our house for two days. Seriously. How can a business do that and expect customers to be happy and invite them back again? Mowing and gardening pros will insist on blowing (or vacuuming) away any excess cut grass and leaves from edges and gutters – taking the final rubbish away with them (or putting it in your bins before they leave). If you want your business to stand head and shoulders above the rest, cleaning up after yourself is the very least you can do. Ultimately, if you do a quality mowing job and practice basic old-fashioned manners, slowly but surely, you should be able to grow your lawn mowing business with repeat customers – who also refer you to new customers.